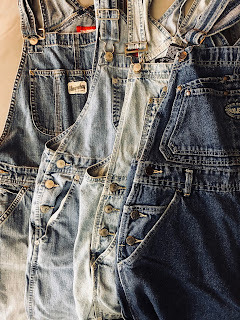 When I think of overalls, I think of the word "utilitarian," and bandanas, and iron workers, and unions. I think of Rosie the Riveter. I think old America. 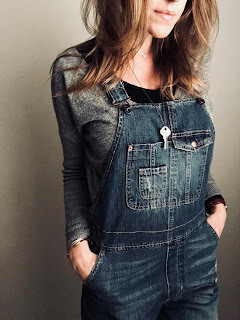 And I talk about overalls regularly because they're so iconic. 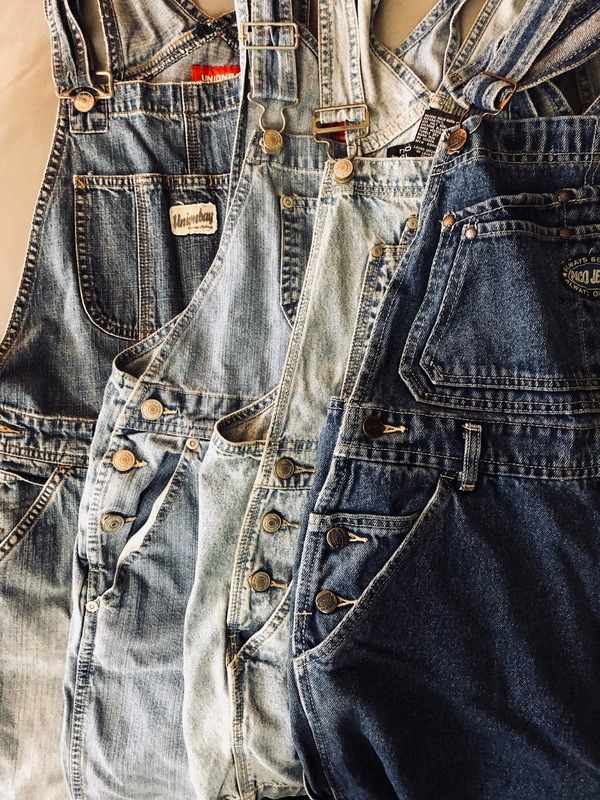 As far as fashion is concerned, though overalls were a major wardrobe staple of years ago, they're now a cyclical item that pops its head up out of the sea of fashion every twenty years or so. I wore these in the early 90s, and they're back in. In fact, they've been very much in for the last four or five years. I've sold hundreds of them in my shop (Visit◄ to see my current selection) and the desire for them isn't diminishing. Does this mean the world wants overalls as a standard part of their wardrobe again? And not just because it's hip? I think so! Sure, overalls don't do wonders for the figure. But, ladies, this isn't everything. There's something pretty dang attractive about comfy overalls on a hard-working woman ... even if she's taking a break and drinking coffee at the local cafe. And perhaps if covering your curves is something you prefer to do, might I make a suggestion: overalls. I did swear to myself I'd never wear them again, but alas, as my mantra states, "Never say never." Just don't. Because, I am wearing them. Today. 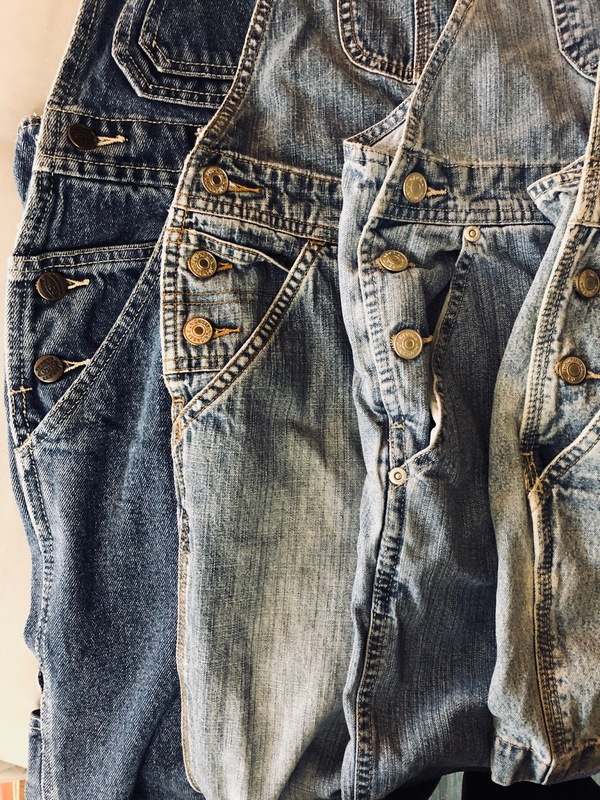 They are the best things to wear for gardening, running to the grocery store, and even tele-commuting from your home office. In other words, everything. If you don't have a pair, look no further. I always have them in stock. Always. Visit today! ◄And get that Americana feel back in your wardrobe again.